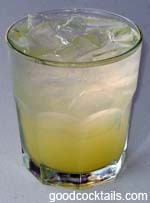 Pour rum and pineapple juice into a glass with ice. Fill it with club soda. Add sugar and stir.